High Performance Light. Killer Fit. The ultrathin 3D molded housing sits flat on your forehead. That means no bounce, no slip. By integrating our electronics into the fabric, we pack all your lighting into an ultra-thin facing that is designed to fit as seamlessly as a contact lens. We kept the front super minimal and moved those grams to the back of your head, making HeadLamp 330 a gravity-friendly design. HeadLamp 330 is made from high-quality moisture-wicking band that keeps your forehead comfortable and dry during activity. Best of all - no abrasion points. 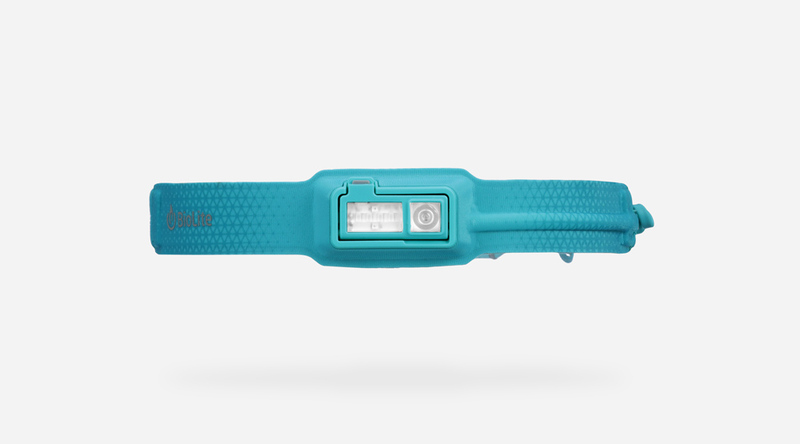 The easy-adjust clips also take the guess work out of right-sizing your band. "First headlamp I've found comfortable "
Run with it, camp with it, live with it: feel the difference a good fit makes. Try HeadLamp 330 for 30 days and if you don't fall in love, we'll take it back for a full refund.